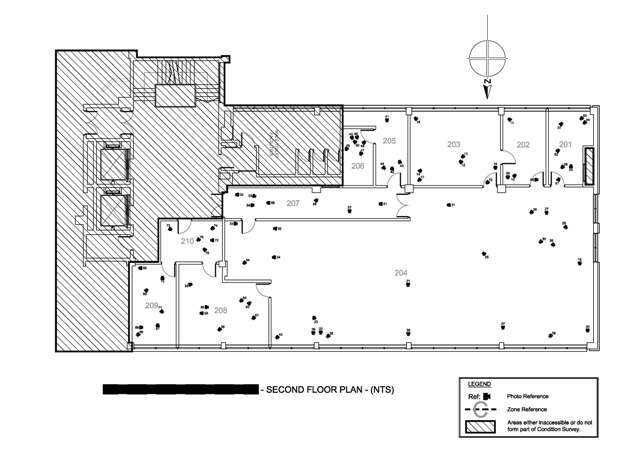 A condition survey is designed to capture the condition of a building at a given point in time. It is generally used by tenants who are taking on a lease of a property and want to record the condition of certain elements at the time they enter into the lease. 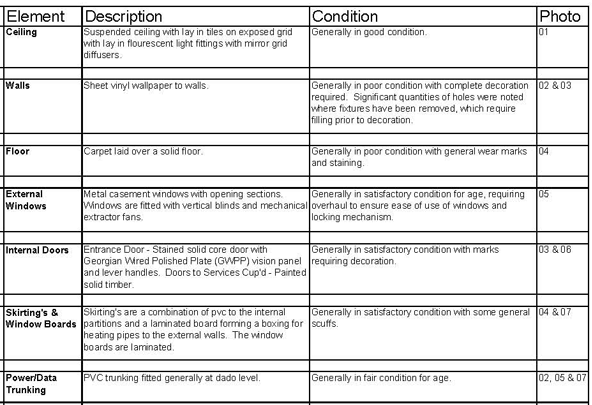 BPS produces photographic schedules to include a written description of a building element, a photograph of any damage to that item and a layout plan to identify the location of the damaged element. Condition surveys are generally carried out to internal areas; usually areas of the building where the tenant is taking over the responsibility for maintenance. It should include the main internal elements such as the ceilings, walls, floors, windows, woodwork and any fixtures that form part of the building. The external parts of the building, staircases and lift cores, are usually retained as part of the landlords demise.